Here we got Ron and EricSkunk chilling in the woods around a campfire, having a few good beers and just enjoying the flames and booze. 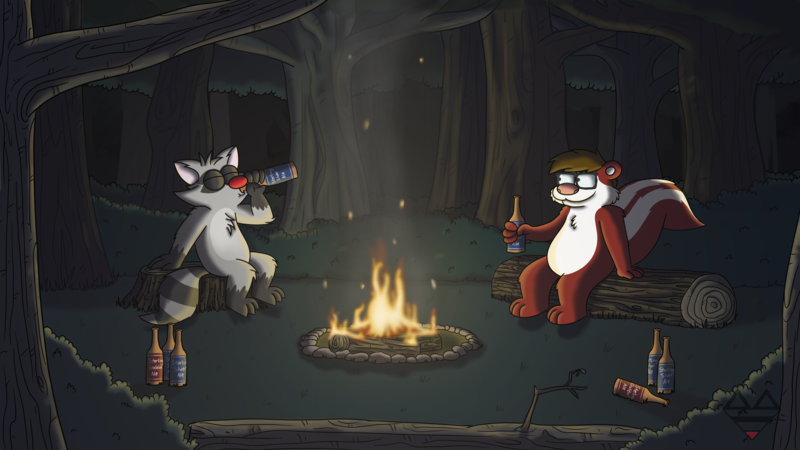 Art and Ron (C) RonRaccoon! Their upload is HERE if can comment and fave it there also.